An entirely new Pokémon series doesn't just mean new Pokémon games, it also means something else. This fall the anime version of current Pokémon series Diamond and Pearl will conclude its run to make way for the totally new Pokémon Black and White franchise. 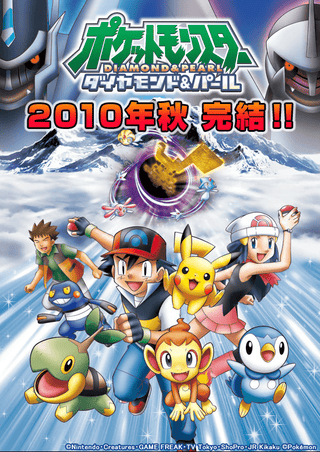 The original Pokémon anime first ran in 1997, and the second series (Pocket Monsters: Advanced Generation) started in 2002. The current series, Diamond and Pearl, began in 2007. As well as an animated series, each series spins off animated feature films. This upcoming film Pocket Monsters Diamond and Pearl the Movie: Phantom Ruler Zoroark features upcoming Pokémon Black and White character Zoroark. It will be released this summer.